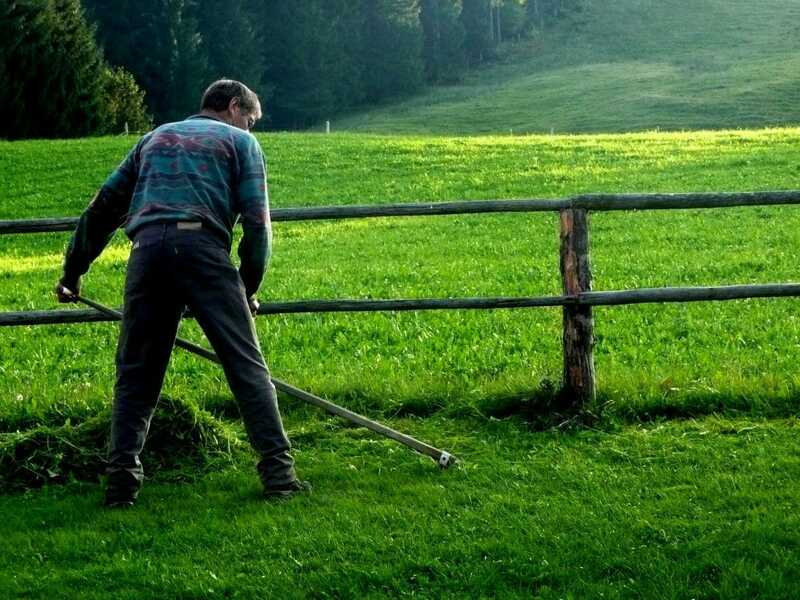 Trimming forms an integral part of your lawn care routine. 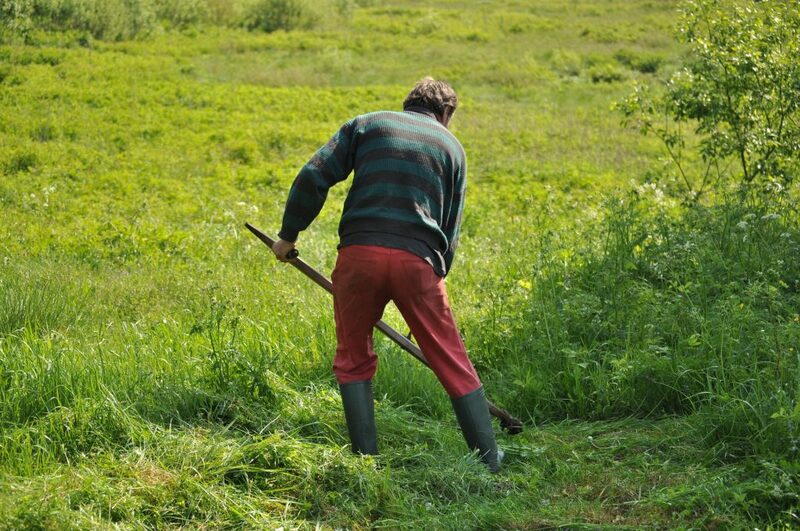 If you have a lawn mower, certain parts of the lawn are left uncut. These include around fence posts, lawn furniture, and the edges of the gardens on the lawn. A weed trimmer is the best tool for working around these places. Some brands give you more capabilities than others when it comes to the flexibility of the trimmer head. Today, numerous models of trimmers are in existence. This makes it hard for buyers to settle on an option. A common dilemma faced by buyers is whether to buy an electric or a gas powered weed eater. Although a gas powered weed eater guarantees more power, an electric weed eater provides other conveniences. For homeowners who haven’t decided on what weed eater to buy, here are the advantages of an electric weed eater that may just make your mind up. 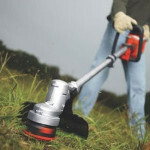 Electric trimmers are categorized into two: corded and cordless weed eaters. While the former requires an electric cable to function while plugged in, the latter option only requires a charged battery to run. These two types offer different conveniences. A corded option is lightweight, powerful, but is restricted regarding total reach by the length of the cable. On the other hand, a cordless trimmer can be used anywhere, provided you have the battery charged. Of course, the charge duration is a drawback, but with modern lithium-ion batteries, you get an extended runtime. Even though both types are limited regarding the size of lawn you have, they still offer plenty of reasons for you to buy one. Let’s take a look at these advantages. What Can You Do with an Electric Weed Wacker? 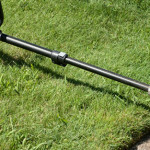 The trimmer head converts to a handy lawn edger by turning it through 900. In this way, it turns into a great tool for applying the finishing touches to your cement paths, driveways, and lawn edges. Holding the trimmer head flat on a heap of leaves and then holding it in place turns the tool into the perfect leaf mulcher. If there is one reason why most homeowners are turning to electric weed eaters, then it has something to do with their lightweight nature. An electric weed whacker weighs much less than a gas option. At first, it may seem insignificant until you start working on your lawn. Holding a tool weighing more than 15 pounds in your arms for about an hour is not an easy task. It leaves you achy and sore. Also, if you consider other factors, then you would see the essence of having a weed eater weighing around 10 pounds or less. By virtue of their low weight, these tools are easy to maneuver on the lawn. You can, therefore, perform intricate lawn mowing patterns, just as you like it. In addition, you can work for longer hours without feeling fatigued. Perhaps the most noticeable advantage of electric weed eaters is their friendliness to the planet. If you are a champion for making the planet greener, then this choice would be great for you. Unlike gas powered weed eaters, electric weed whackers do not emit any fumes into the environment. Because of stringent emissions laws being put in place in light of increased global warming, weed eaters that use gasoline are not allowed to be used in certain jurisdictions. When you are in such a place like California, then you are better off with an electric weed eater. Emissions are not only good for the environment. They are potentially harmful to your health as well. Warming up, mixing up of fuel, and persistent pulling on the chord are maneuvers not liked by a lot of users. You want a tool that you can start using as soon as possible. 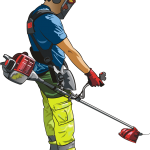 When you have an electric weed eater, you do not have to undergo all these troubles to get it up and running. All an electric whacker needs is a push of a button, and it starts. After you have completed your trimming, simply press the stop button. An instant start-stop allows you to get to work and stop as soon as possible quickly. The latter feature helps to alleviate the risk of injury. Another key convenience feature is that you don’t have to stop for refills in case of a corded electric trimmer. However, if you have a cordless model, then you have to stop for recharging when power runs out. For their powerful nature, gas-powered electric weed eaters have one notable flaw. They are extremely noisy. While modern weed eater engineering has considerably reduced how noisy they are, the noise is still a problem. On the other hand, an electric weed eater runs so quietly that you may not need to have an earplug on as you work. That being said, you still have to practice safe weed eater operation which requires you to have earplugs. 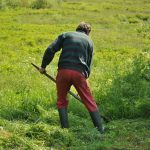 Because of the relatively low noise levels, you can work on your lawn at odd hours without drawing the wrath of your neighbors. You should note that they are not noiseless as there is still considerable sound emitted from the motor and moving parts. Maintenance work on any tool is never anyone’s cup of tea, especially when getting oil spilt on you. With an electric weed eater, there is little maintenance work to be done, if any. The same cannot be said of a gas weed whacker that needs tuning and routine maintenance procedures. Other than retracting the electric cord, recharging and replacing the battery for cordless types, the only maintenance job required on an electric weed whacker is cleaning it after use. The grass debris that sticks onto the trimmer head should be cleared before storing, waiting for the next use. In addition to cleaning, a string trimmer needs the string spool replaced regularly when it runs out. This process is often very easy, requiring a couple of minutes and you’re done. 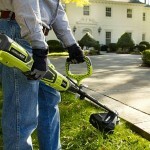 Since electric weed eaters come in two options, you have the choice of having the cordless one. Using a battery gives you the freedom of taking your tool to any working location of your choice without being constrained by the power cord. In other instances, people have ended up cutting the cord as they trim or embarrassingly tripping on it. A cordless weed eater does not run out of cable giving you the ability to work on even the farthest corners of your lawn. 2-cycle gas powered engines have a knack for wearing down users with their requirement for mixing oil and gas in certain ratios. It is common to have maybe a bit too much oil or gas unless you buy a pre-mixed fuel-oil solution. In this way, you don’t have to deal with the ratio problem. An electric option on the other hand, requires none of that. All you need is the battery, a charging station, power outlet or a power cord for a corded trimmer. Concerns about electric weed eaters have been about their apparent less powerful nature. Yes, that used to be true in the past, but with current battery technology, their performances have been vastly improved. More powerful lithium-ion battery tends to rival the performance delivery by gasoline-powered weed trimmers. Battery powered weed eaters are capable of lasting longer, tackling thicker grass, and charge faster than before. Corded motors are also more powerful, yet lighter than they used to be a couple of years back. Everybody appreciates the universality of power tools. It is a great cost-saving move, as you only have to buy a single battery for some tools. Once you are through with trimming but still have some charge left in the battery, then you can use the same battery to power your chainsaw. This is what universal design of lawn equipment is all about. It is not only a chainsaw that you can share the batteries with. Other lawn care tools include a blower, power tool among a host of others. Of late, there are even lawn mowers that use the same batteries as a weed eater. The truth is that an electric weed eater is an excellent lawn care equipment. Despite its inefficiency at times, it has advantages that more than makes up for their drawbacks. I hope that these advantages have shed more light into electric weed whackers to help you make the decision whether to get one or not. Apart from the features, a person’s preference also comes into play when buying a lawn care equipment.